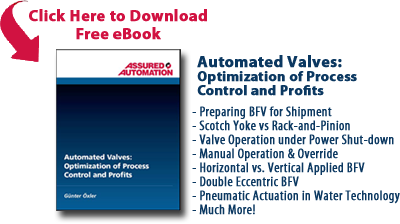 Join Assured Automation’s Director of Web Services Mike Farrell, for this Webinar as they share cutting edge techniques for specing and quoting automated valves and flow meters. 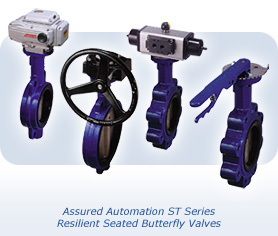 You will learn how to select proper valves based on valve torque, the actuator type (pneumatic, electric) and output torque, and required accessories (limit switches, solenoid valves). The configurator automates the process to make sure the sizing is correct and the accessories are compatible. The Webinar will show you how you can interactively select the valves, actuators, and accessories, while viewing the assembly on your screen, generating the complete part number and price. You will also see how you can download 3D CAD models, installation and maintenance manuals, and full sets of data sheets. This entry was posted in Installation and Training, Latest News and tagged 3D CAD Drawings, Limit Switches, Solenoid Valves, Valve Actuators, Valve Configurator, Valve Installation. Bookmark the permalink.